OpenAI LP is now a capped-profit company. OpenAI, the nonprofit artificial intelligence research organization founded by Elon Musk and Sam Altman — and which Musk later quit — is now legally a for-profit company. With the capped-profit structure that it created, investors can earn up to 100 times their investment but no more than that. 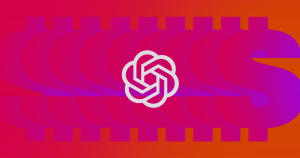 The rest of the money that the company generates will go straight to its ongoing nonprofit work, which will continue as an organization called OpenAI Nonprofit. Musk, who has since left the organization, founded OpenAI with Altman to create ethical, beneficial artificial intelligence to counter the potentially dangerous technology being built elsewhere. However, more recently, the organization built a realistic AI tool that could churn out convincing fake news articles. OpenAI decided to only release a less-powerful version of that text generator, citing concerns over potential misuse. Originally arguing that it could focus on developing humanitarian technology because it wasn’t seeking profits, OpenAI may now find itself pressured to generate revenue for new investors rather than stick solely to its stated mission.